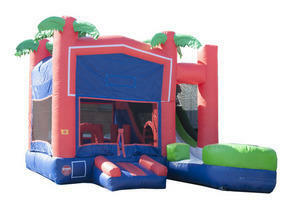 This is one of our newest bounce house combos has the same great features as the castle. It also has a basketball hoop and obstacles inside. May also be used as a waterslide for those extra hot days.